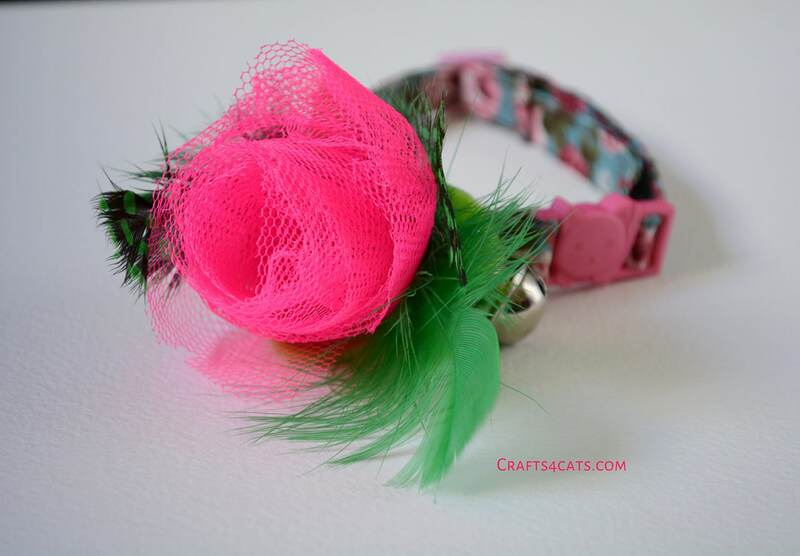 "The Rose Garden" cat collar with a hot pink rose. A fancy edition of our flower-power cat collars, made from tutu fabric, decorated with coloured quail feathers and felt. 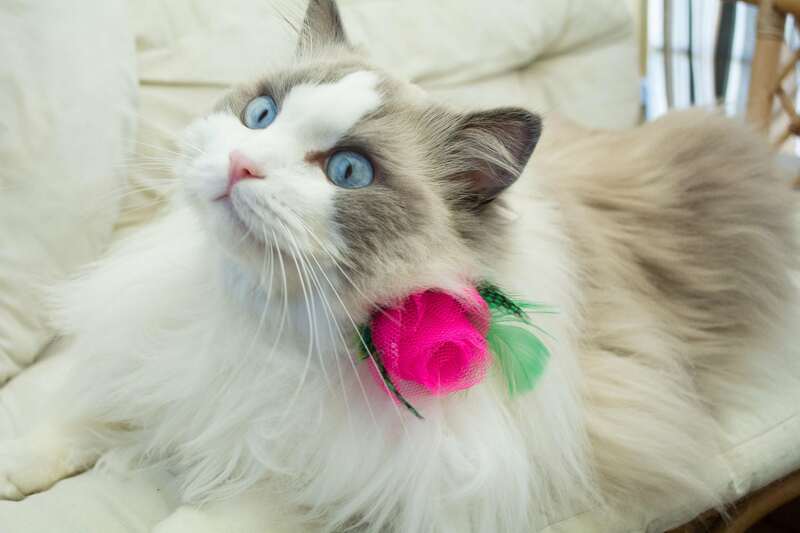 Make your beloved cat look special. Each rose and collar are handmade and thus will slightly differ from the photos seen on this advert. I offer various cat collar sizes - please measure your cat/kitten's neck with a tape. You should have enough room to put a finger between the tape and neck. The collars are adjustable and fitted with breakaway buckle. 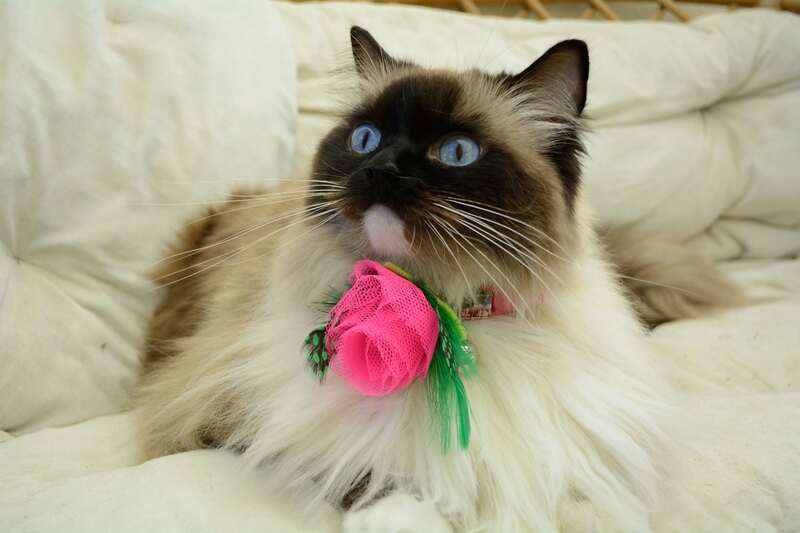 This collar and flower bow is designed & handmade entirely by me and are aimed for cats. The type of buckle I use on this collar will not be suitable for dogs, if you would like to purchase for a dog, please send me a private message.